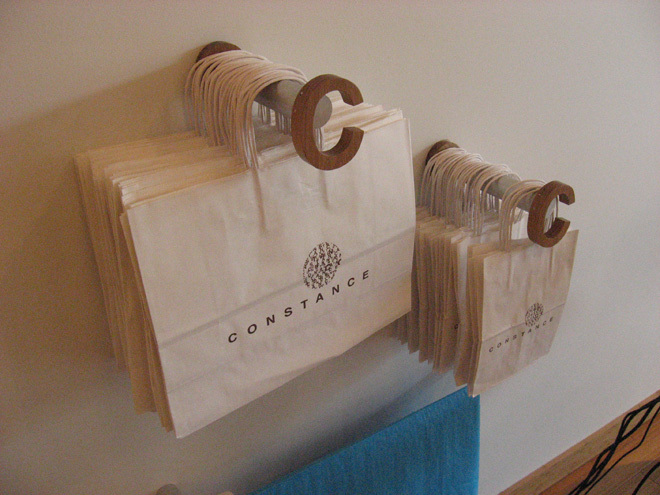 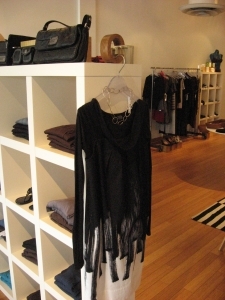 Among many other things, owner of Context and Constance Boutique, Constance Enser has a knack for branding. 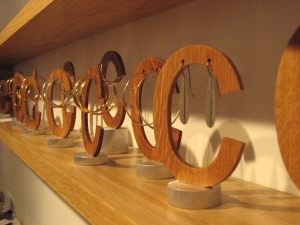 Just after opening, The Goldsplinter Woodworking Studio had the honor of helping her realize a few creative nuances she had designed for her new store in South Asheville and for her existing location downtown. 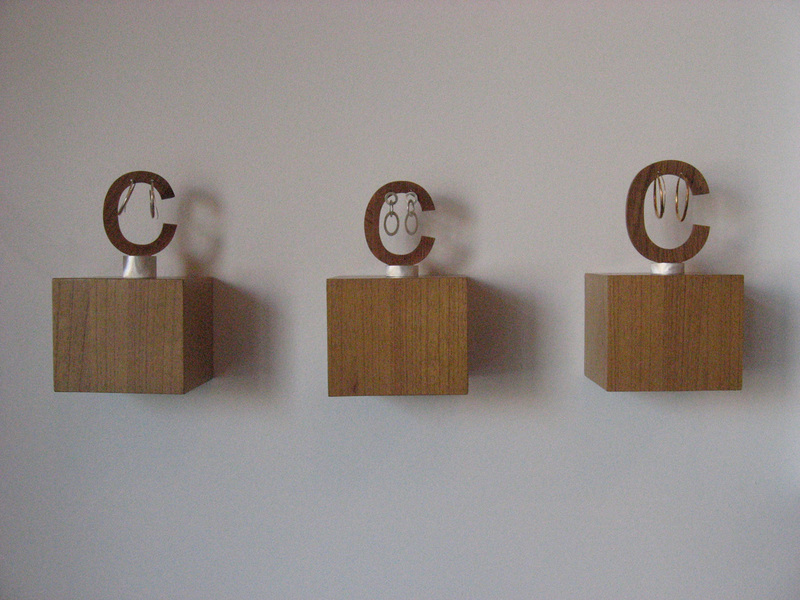 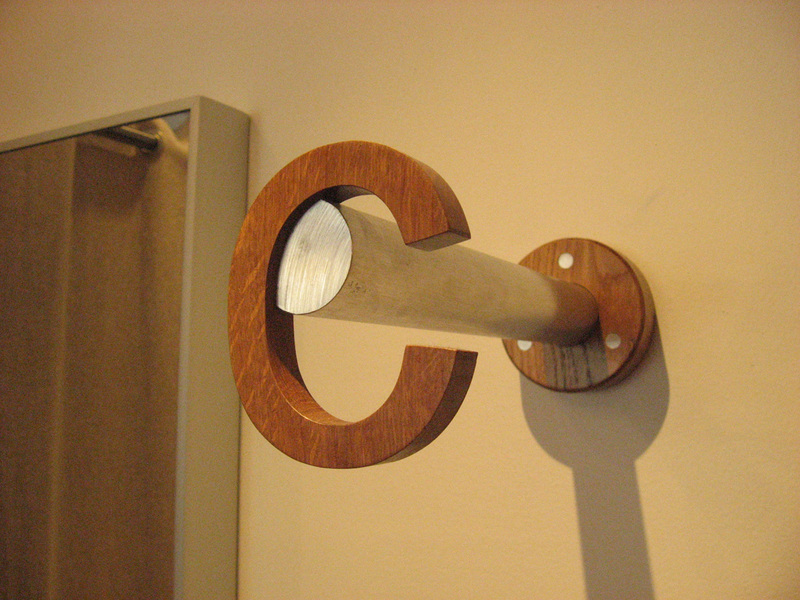 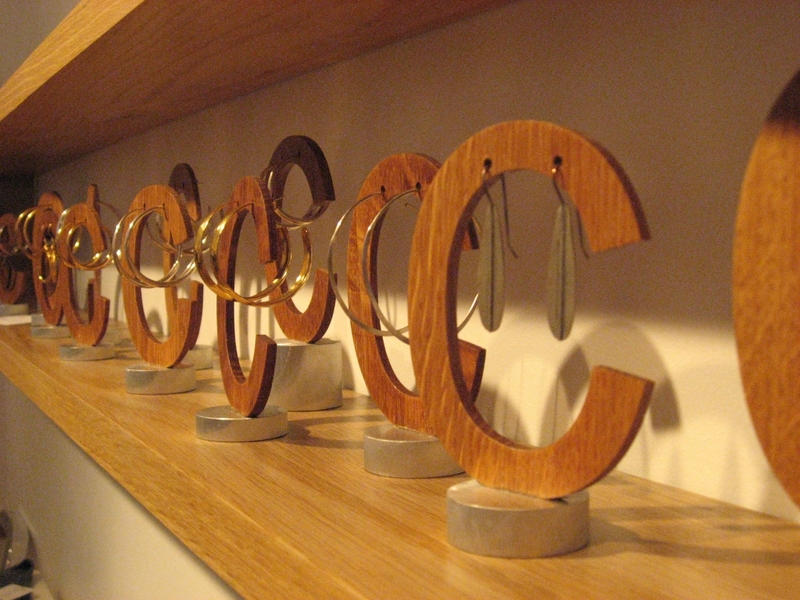 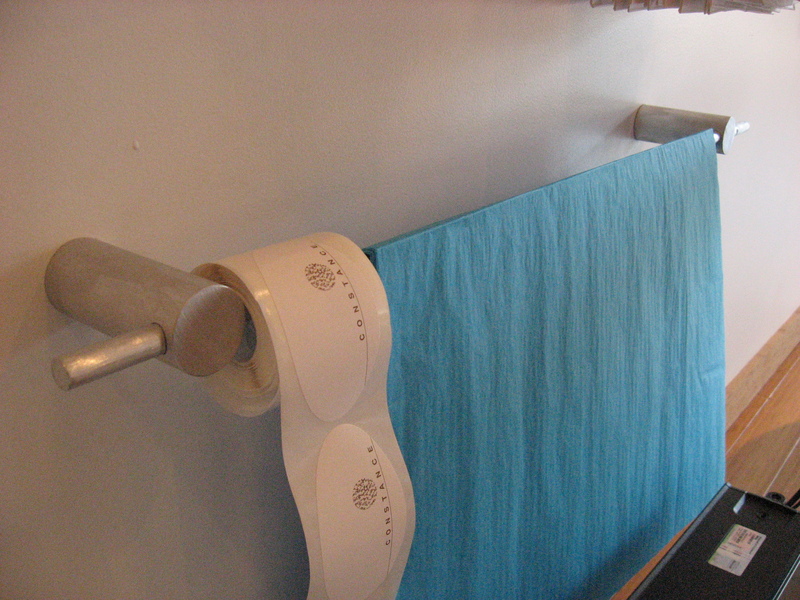 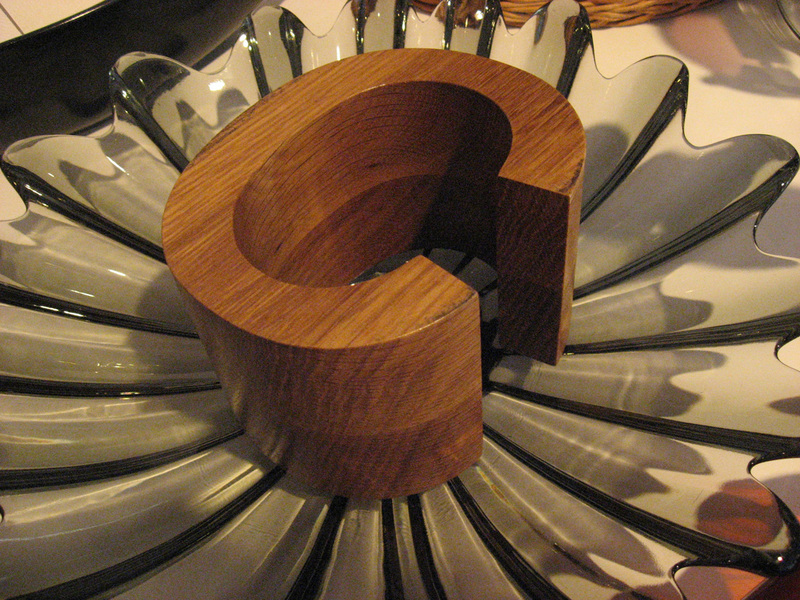 The earring holders, dressing room hangers, shelf, and accent “C’s” are all of white oak, usually with aluminum highlights.